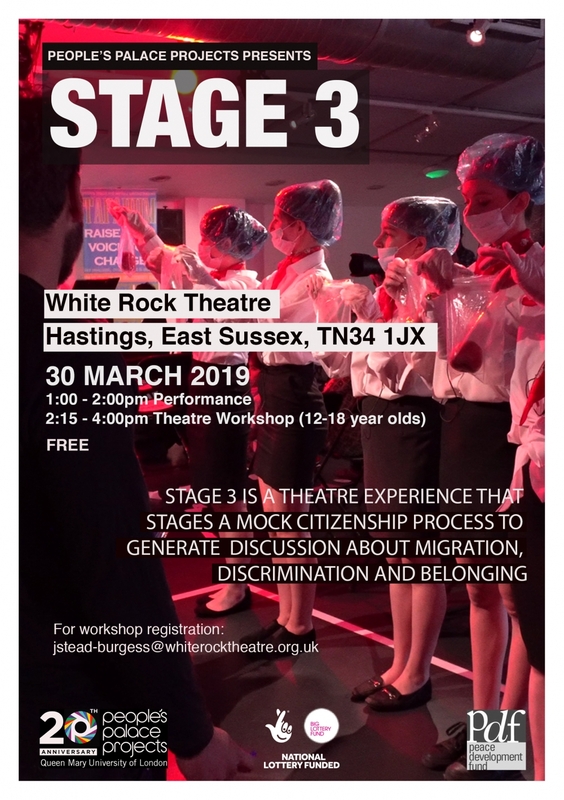 After an award winning tour of several cities in the South of England, People’s Palace Projects are bringing their production of Stage 3 to Hastings. People’s Palace Projects is based in the Drama Department of Queen Mary University of London and works with a wide range of local communities. They bring artists activists, academics and audiences together for projects that address a wide range of social justice and human rights issues. 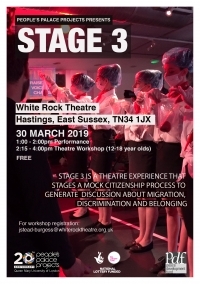 Stage 3 is a participatory experience that uses a mock citizenship process to discuss migration, discrimination and belonging, challenging the process of being categorized based on race, age and socio-economic background.